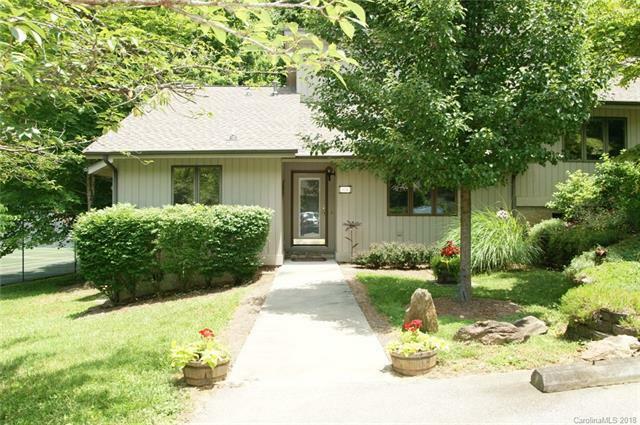 40 Cedarwood Valley Road A, Asheville, NC 28803 (#3407172) :: Caulder Realty and Land Co. Sellers' have relocated and are motivated! Wooded setting, custom upgrades (hardwood floors & jetted tub), & meticulously maintained. Located 7 miles SE of downtown Asheville in a quiet community, with easy access to Blue Ridge Parkway and I-40. Home has split bedrooms & 2 baths on the main level. Upstairs there's a loft & 3rd bath for den/office/guests, & XL walk-in attic storage. Lg secluded back deck and patio. Beautifully landscaped community has tennis, pool-house, heated pool. Perfect for 'Lock and Go'. Furniture negotiable. Buyer can apply to HOA for rental permit.